Copies of letters to D Ross, Rhivaig, September to November 1913, from shipping agents Geo W Wheatley & Co Ltd. 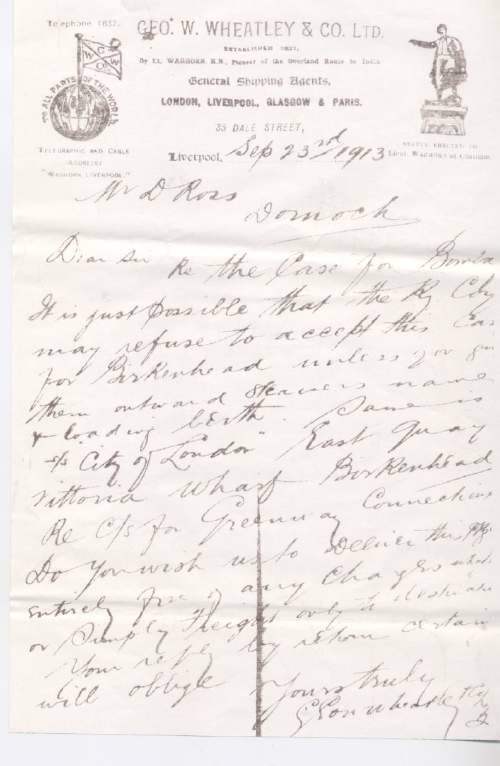 Letters concern shipping of items to Bombay and to Dr Greenway, Greenwich, Connecticut. Copies are early fax type on shiny paper. 10 loose sheets.